"Kabbalah" means "given by the tradition," and the term refers to the mystical and esoteric traditions of the Jewish people. However, it is somewhat misleading to speak of "the Kabbalah" as if it were a single, unified set of symbols or ideas. Moshe Idel, for example, has discerned three basic models operating and competing throughout the history of Jewish mysticism. These models can be readily distinguished according to the their basic intent with respect to God: the theosophical Kabbalah, embodied in the Zohar and the followers of Isaac Luria, seeks to understand and describe the divine realm, the ecstatic Kabbalah, exemplified in Abraham Abulafia and Isaac of Acre, strives to achieve a mystical union with God, and the magico-theurgical Kabbalah, present in a wide range of Kabbalistic literature, endeavors to alter both God and the world (M. Idel, Hasidism: Between Ecstasy and Magic, p. 31). It is the theosophical Kabbalah, with its descriptions of the nature and vicissitudes of the godhead in relation to the world that provides a theoretical foundation for the Kabbalah as a whole, as well as for the later Jewish mystical tradition of Hasidism. While one can find differences in doctrine even amongst the theosophical Kabbalists, their major focus is the Sefirot (singular Sefirah), the value archetypes through which God is said to manifest and structure both humanity and the world. 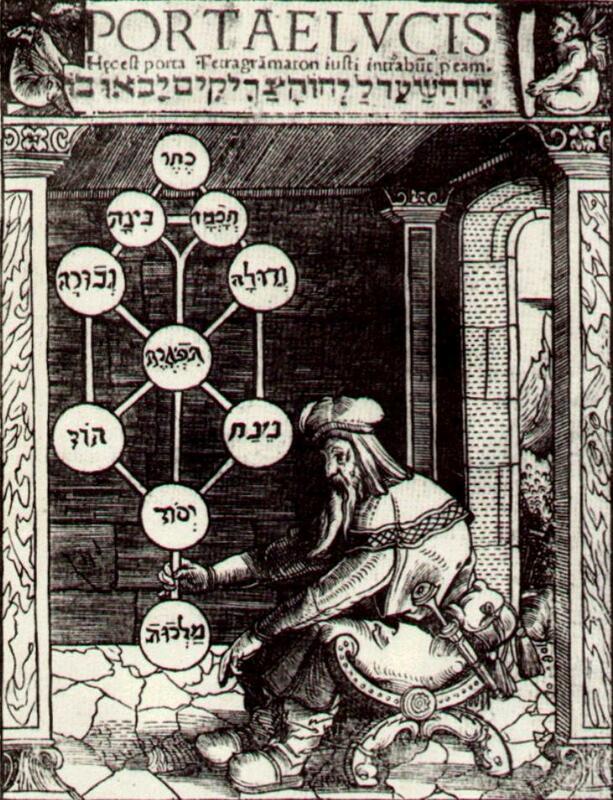 The picture above is a depiction of the Sefirot, in the shape of a "tree" that appeared in a latin translation of the Kabbalist Joseph Gikatilla's work, Sha'arei Orah, the Gates of Light. Rabbi Isaac Luria (1534-72), was perhaps the most visionary and original of the theosophical Kabbalists. Luria offered novel insights into and interpretations of the classic Kabbalistic text, the Zohar, and his myth of creation, deconstruction and restoration became a dominant motif throughout later Kabbalistic and Hasidic thought. Luria's theosophical system serves as an important foundation for the New Kabbalah, i.e. for a Kabbalistic approach to contemporary theology, philosophy and psychology. 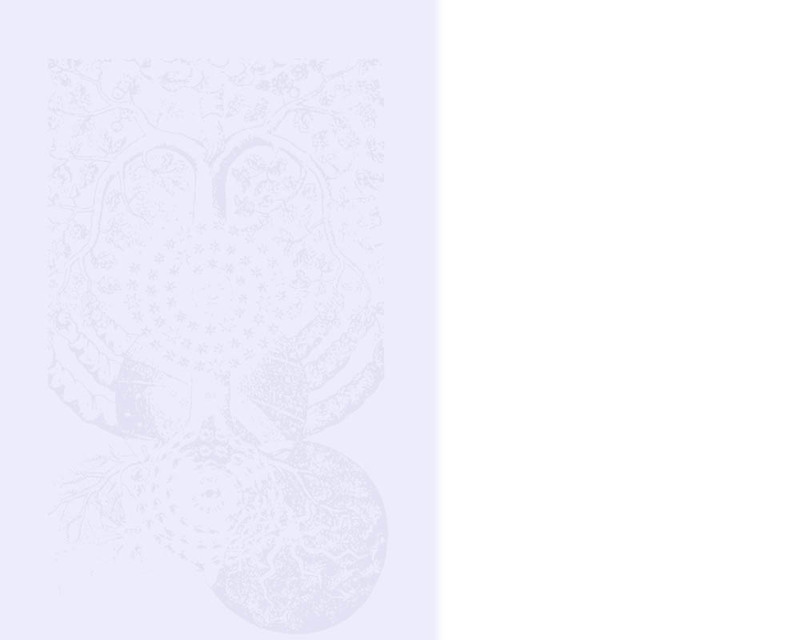 On this page, Luria's theosophy is described in outline form, with links connecting the reader to fuller descriptions and interpretations of the major Kabbalistic symbols, as well as to matters of comparative interest. Readers interested in more detailed discussions of these topics are referred to the "Books" and "Articles" links on this website. When it arose within Ein-sof (the Infinite) to weave Yesh (Something) from its Ayin (Nothing) Ein-sof performed an act of Tzimtzum, contracting and concealing itself from a point, thereby forming a central, metaphysical void. It is in this void that the Primordial Man, Adam Kadmon, and all the countless Worlds(Olamot) emerge. Lights flashing and recoiling from the eyes, nose, mouth and ears of the Primordial Man emanate the ten archetypal values, the Sefirot and the 22 holy letters (Otiyot Yesod), which were to be the building blocks of the universe and the structural elements of all things. These lights first formed vessels (Kelim) that were to contain the further emanations of the light of the infinite (Or Ein-sof). However, the vessels could not contain these emanations, and in a cosmic catastrophe known as the Breaking of the Vessels (Shevirat ha-Kelim), the vessels were displaced and shattered. The letters, which had been initially assembled into meaningful groups became a Babel of nonsense. This rupture in the universe created a separation of the opposites, in particular, a split between the masculine and the feminine aspects of both God and the Primordial Man. The broken vessels tumbled down through the metaphysical void, trapping within themselves sparks of the emanated divine light. These entrapped sparks became shrouded in layers of darkness as they fell into the Sitra Achra, the "Other Side." The world, instead of being composed of the pristine archetypal values of Wisdom, Understanding, Knowledge, Love, Judgment, Beauty, etc. was now formed of the broken, displaced, and obscured lights and vessels as they coalesced as Kellipot (Husks, complexes). As a result, our world (Assiyah-"making"), is, as Adin Steinsaltz has put it, "the worst of all possible worlds in which there is still hope," yet paradoxically it is the best of all possible worlds because it serves as the arena for redemption (see "The Mystic As Philosopher"). As a result of the Breaking of the Vessels, the Primordial Adam was himself partly shattered into a multitude of individual souls, who themselves are comprised of the same fragments or Kellipot that form our world, and which are exiled and alienated in the "Other Side.". 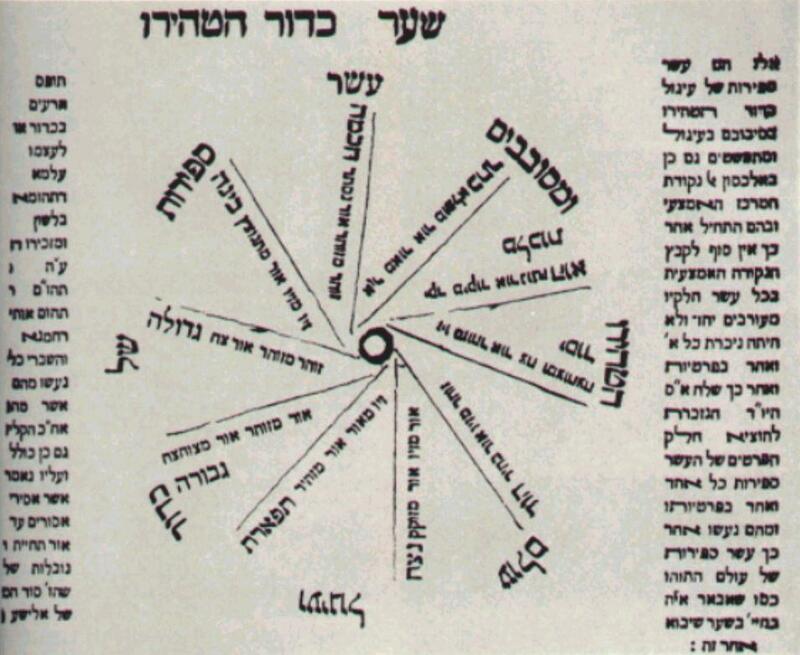 The task of individual men and women is to extract (via an act of birur) those sparks (netzotzim) that are his or her fortune to encounter in life, and to raise and spiritualize them, so as to reconstitute the Sefirot and the figure of the Primordial Man as five Partzufim (Visages or Personalities of God) and restore the harmony of the opposites, as well as the conjugal relations between the masculine and feminine aspects of God, man and the world. Each individual, as he or she travels along life's path, encounters those persons, events and things that contain sparks that he or she is uniquely suited to redeem. Likewise, the objects which and people who, an individual encounters are potentially suited to assist that individual in raising the sparks within his or her own soul. Each encounter and each life event is an opportunity to raise a spark of holy light or plunge the world even further into darkness. The "raising of the sparks" is the vehicle of Tikkun ha-Olam, the Restoration of the World. The ideal of a restored and redeemed world, which overcomes chaos and evil, gives meaning to that which is senseless, and concretizes the abstract values represented in the Sefirot, is the highest possible perfection, a perfection that assures the completion of Ein-sof the Infinite God. For Luria, divinity (Ein-Sofis not simply the origin of the world, but is rather identified the entire theosophical system, and includes God, the world and humanity. Ein-Sof is completed only through the restorative acts of humankind. 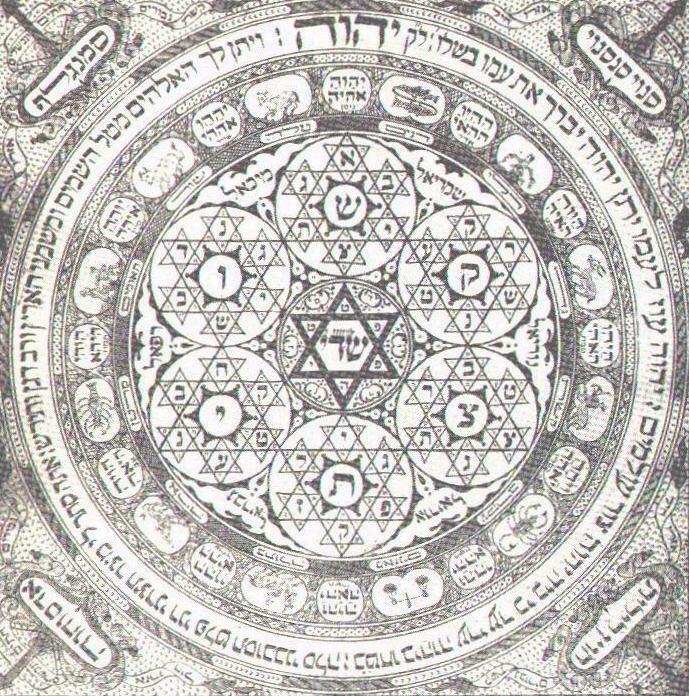 Many of the ideas and themes of the Lurianic Kabbalah are also present in systems of thought (Indian philosophy, Platonism, Gnosticism) that, according to many scholars, antedate the Kabbalah, and (at least in the case of Platonism and Gnosticism two) seem to have impacted upon the development of Jewish mysticism. The Kabbalah, however, is unique in its position in the history of western thought, acting as it were as a "switching station" in which the biblical tradition, oriental mysticism and western philosophy converge. In the Kabbalah of Isaac Luria these traditions combine with Luria's profound spiritual insight and intense mythical imagination to produce a comprehensive philosophical and psychological vision of the nature of God and humankind that was only imperfectly represented in the prior traditions. Of equal significance, however, is the relationship between the Kabbalah and more modern systems of thought and practice. The Kabbalists had a profound impact upon such Christian mystics as Jakob Boehme, and through them, on the German romantic philosophers, Schelling and Hegel. The basic metaphors of the Lurianic Kabbalah are psychologized in Freud, and Jung. Jung, whose psychology is in large part derived from a meditation on the spiritual aspects of alchemy, was greatly influenced by the Kabbalah, and can be said to have extracted the Kabbalistic "gold" that lay buried in the alchemist's arcane formulae for the transmutation of metals. Finally, Jacques Derrida, the founder of deconstruction, explores many themes that are quite reminiscent of Kabbalistic ideas. These include Derrida's notions of "difference" and the "trace," which have much in common with, and are llluminative of, the Lurianic symbols of Ein-sof and Tzimtzum, as well as the notion of "deconstruction" itself, which can be understood as a contemporary interpretation of the Lurianic "Breaking of the Vessels." While a study of the Kabbalah can provide rich insights in both ancient and modern philosophy, the opposite is true as well. Looked at through the lens of comparative studies in philosophy, psychology and religion, the symbols of the Kabbalah take on a deeper and more profound significance for our time. This process is already transforming an ancient spiritual treasure into a modern, and post-modern, approach to philosophy, psychology and theology: the foundation for a New Kabbalah, suited to our time. The rapidly growing interest in the Kabbalah in recent years, amongst Jewsand non-Jews alike, suggests that the message of the New Kabbalah is an ecumenical and multi-cultural one. Without in any way detracting from the importance of maintaining the Kabbalah's Jewish roots and identity, we can note that interest in the Kabbalah amongst non-Jews is a centuries old affair. We are only beginning to understand the significance and impact of the so-called "Christian Kabbalah" on the history and development of western thought. More importantly it is a fundamental axiom of Kabbalistic and Hasidic metaphysics that the world should be differentiated in all its plurality, so as to achieve the greatest possible variety and detail in the expression of the divine sefirotic values. which are only then to be reunited in a single source. The New Kabbalah celebrates the world's and humanity's diversity, but also recognizes both the underlying unity and need to achieve the actual unity of all people and things. accomplished? The traditional answer is through adherence to the 613 divine commandments (mitzvot) of traditional Jewish practice. Each mitzvah, it is said, is designed specifically to redeem particular sparks that fell into the world after the "Breaking of the Vessels." For example, those pertaining to Kashruth (maintaining a Kosher home) redeem the sparks in food and the laws against loshon hora (gossip) redeem the sparks that are entrapped within the Kellipot of man's speech. However, one need not participate in a traditional Jewish lifestyle in orderto effect Tikkun. The mitzvah, for example, of tzedakah (charity) is available to all, at any time. Further, nearly any act can be done in the spirit of either promoting or forestalling the world's ultimate redemption. The greeting we give (or don't) give our neighbor, the malicious gossip we refrain (or don't refrain) from speaking, the patience we show (or don't show) to our parents, husbands, wives, children, colleagues, and strangers, are all part of the Tikkun equation. The New Kabbalah holds that any act which furthers the values of the Sefirot, the value archetypes through which the world was created; any act that brings knowledge, wisdom, understanding, love, justice, compassion, beauty, etc. into the world is an act of Tikkun, and fulfills the purpose of creation and contributes to the repair and restoration of both ourselves and the world.